Free goody bags were on offer at Saturday’s (September 30) event as well as a range of new stalls and entertainment. Whitehaven Market takes place every Thursday and Saturday and has been an increasing success since its relaunch in October 2016. The number of regular stallholders has doubled over the past year and income for the market has increased by over 35 per cent. 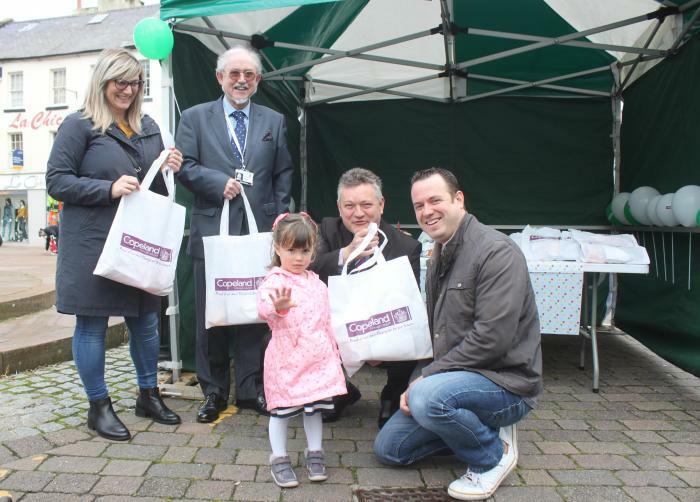 Mike Starkie, Mayor of Copeland, said: “It was fantastic to see Whitehaven Market come alive at its first birthday bash. I was delighted to see the market filled with residents, families and visitors to the town enjoying all that was on offer. “I’d like to extend my sincere gratitude to Copeland Borough Council staff who worked hard to organise the event. “Thanks also to Whitehaven Town Council and to traders for their continuing support and commitment to the market. Graham Roberts, Deputy Mayor of Whitehaven Town Council, said: “We’re proud and privileged to be part of the market which we help fund, and it’s very clear to see that it is gathering momentum.